On Friday, February 15, 2013, students, faculty, and staff gathered at Windsor Forest Elementary in the school’s Outdoor Science Classroom to welcome special guests for an Arbor Day Celebration that culminated with a tree planting ceremony. The event honored the school for staying committed to teaching the value of forestry and the benefits environmental stewardship. Students took part in the ceremony singing “Trees for America” and reading their original works of poetry that were thematic to Arbor Day. 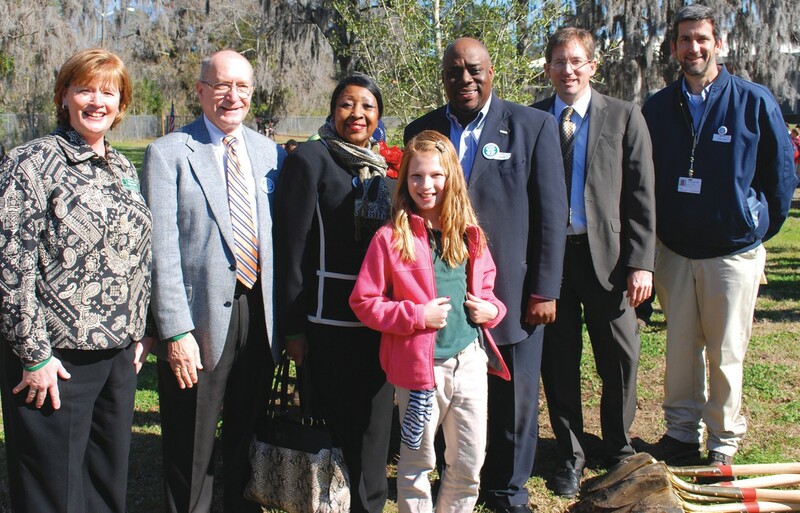 Honored guests included the City of Savannah Mayor, Edna Jackson, who read an Arbor Day Proclamation and presented it to the school. Students also heard from Mayor Pro Tem, Van Johnson; City Park and Tree Director, Jerry Fleming; Park and Tree Commission Chairman, Walt Harper; Forestry Administrator, Bill Haws; and the Superintendent of Schools, Thomas B. Lockamy, Jr. Ed.D., was on hand to provide an inspirational message. At the culmination of the ceremony, students were excited to officially take part in the planting of a new Live Oak Tree in the school’s Outdoor Science Classroom. The effort was led by the Ceremonial Announcer, and Windsor Forest Elementary Student Council President, Lakelyn Luke. Live-Oaks are known for growing to be stately, picturesque trees and are one of the broadest spreading of the Oaks, providing large areas of shade. As the official state tree of Georgia the oak can reach 40 to 60 feet in height with curved trunks and branches. The school was also presented with an official Tree City USA Flag.